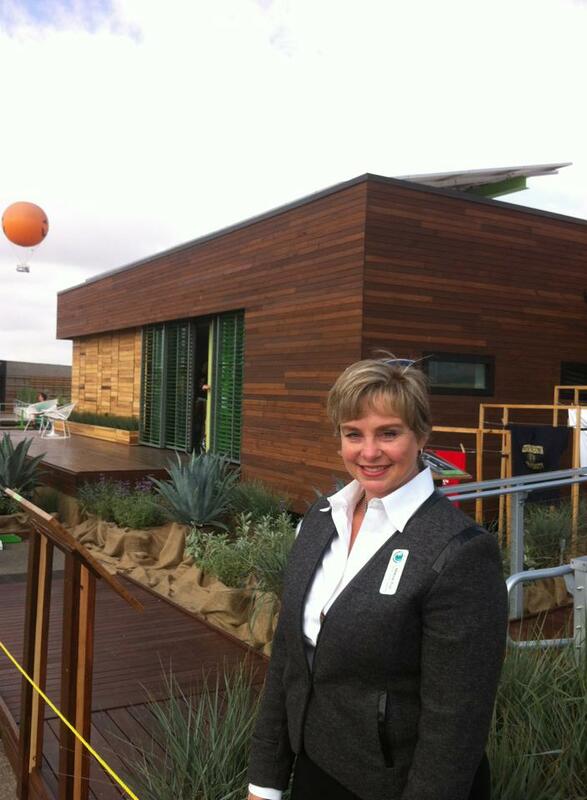 The 2013 Solar Decathlon Opens in Irvine! As one of the fastest growing cities in the nation, we are used to new houses being built in Irvine. But these new houses in the Great Park are special. These are state-of-the-art solar-powered houses – each of them vying for the title of best solar-powered house in the world in the U.S. Department of Energy’s 2013 Solar Decathlon. The first Solar Decathlon was held in 2002. The competition has since occurred biennially in 2005, 2007, 2009, and 2011. This year, the Solar Decathlon will be held for first time outside of Washington, D.C. – at the Great Park, here in Irvine, California. Thursday, Oct. 3 – Sunday, Oct. 6, 2013. Thursday, Oct. 10 – Sunday, Oct. 13, 2013. The Solar Decathlon is an award-winning international competition that challenges collegiate teams to design, build, and operate solar-powered houses that are cost-effective, energy-efficient, and attractive. The winner of the competition is the team that best blends affordability, consumer appeal, and design excellence with optimal energy production and maximum efficiency. The winner of the competition is the team that best blends affordability, consumer appeal, and design excellence with optimal energy production. Providing participating students with unique training that prepares them to enter the clean-energy workforce. The Solar Decathlon is a competition. 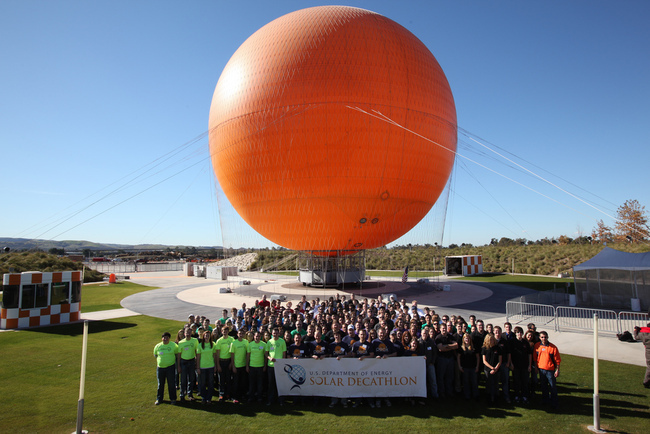 Like the Olympic decathlon, the Solar Decathlon consists of 10 individual contests. These individual contests are designed to gauge how well the houses perform and how livable and affordable they are. Each individual contest is worth a maximum of 100 points, for a competition total of 1,000 points. Architecture – Teams are required to design and build attractive, high-performance houses that integrate solar and energy-efficiency technology seamlessly into the design. A jury of professional architects evaluates each team’s construction documents and the final constructed house, looking at architectural elements, holistic design, and inspiration. Market Appeal – Teams build their houses for a target market of their choosing. Teams are then asked to demonstrate the potential of their houses to keep costs affordable within that market. A jury of professionals from the homebuilding industry evaluates how well suited each house is for everyday living, determines whether the construction documents would enable a contractor to construct the house as intended, and assesses whether the house offers potential homebuyers within the target market a good value. Engineering – Team houses are evaluated by a jury of professional engineers for functionality, efficiency, innovation, and reliability. Communications – Teams are judged on their success in delivering clear and consistent messages and images that represent the vision, process, and results of each team’s project through web sites, communications plans, and student-led house tours. Affordability – Teams are encouraged to design and build affordable houses that combine energy-efficient construction and appliances with renewable energy systems, and earn points for building less expensive houses. For this contest, teams can earn the maximum 100 points for achieving a target construction cost of $250,000 or less. A sliding point scale is applied to houses with estimated construction costs between $250,001 and $600,000. Houses with estimated costs that are more than $600,000 receive zero points. Comfort – Teams are encouraged to design their houses to maintain steady, uniform indoor environmental conditions. Points are awarded for maintaining narrow temperature and relative humidity ranges inside the houses. Hot Water – Teams need to demonstrate that a solar-powered house can provide all of the energy necessary to heat water for domestic uses. Teams score points in this contest by successfully completing several daily hot water draws. Appliances – Teams need to demonstrate that solar-powered houses can provide power for the appliance use and amenities of the average U.S. home while using less energy. Teams earn points for refrigerating and freezing food, washing and drying laundry, and running the dishwasher. Home Entertainment – Teams earn points for demonstrating that houses powered solely by the sun can deliver more than just basic household functionality and also provide power for electronics, appliances, and other modern conveniences. Energy Balance – Teams earn points for demonstrating that the solar-power can produce all the energy necessary for the daily energy demands of a small household. Each house is equipped with a utility meter that measures the energy a house produces and consumes over the course of the competition. A team receives points for producing at least as much energy as its house needs. Click here for a gallery of the solar-powered houses. Click here for virtual tours. The Solar Decathlon is also part of XPO, a clean, renewable, and efficient energy exposition, simultaneously being held at the Great Park. The XPO features visionary and innovative companies, products, and educational opportunities. Through fun, interactive exhibits and activities, the XPO provides visitors with information about the broad spectrum of energy efficiency in home design, transportation, consumer products, food production and education. Visitors will experience actionable ways to implement energy efficiency today and into the future, with the goal to leave the XPO with tools and resources to live differently. The SunShot Innovation Pavilion will feature an educational trade show connecting consumers to clean, renewable, efficient energy companies, products and services and will also showcase the U.S. Department of Energy’s SunShot program, featuring educational activities and displays from a variety of solar companies. The Powerful Ideas Symposium will feature guest speakers and panelists presenting useful, innovative ideas related to clean, renewable, efficient energy and its connection with the world and our everyday lives. The Powerful Ideas Classroom will feature educational activities and lessons focused on science, engineering, architecture and energy for preschool through high school students. The Competitors Pavilion will showcase the colleges and universities competing in the Solar Decathlon, providing opportunities to learn more about the technology and innovation used in the student teams’ homes. This Pavilion will also feature the U.S. Department of Energy Housing Innovation Awards and the American Institute of Architects Orange County Student Design Committee Awards. The Transportation Zone will feature electric vehicle demonstrations, ride-and-drives and competition. The Arts and Culture Zone will feature artistic gallery exhibitions where guests can explore, discover, and experience how art can be influenced by environment and the environment by art. The Farm + Food Zone will feature exhibits and workshops on the benefits of locally grown food and how to grow nutritious, delicious food and maintain healthy gardens. Indeed, Irvine – with its well deserved reputation for leadership in urban planning, innovation, conservation and green technology – is really the perfect place for the Solar Decathlon. More than other 300,000 visitors are expected from across the nation and around the world. (Public transportation is available through Metrolink and local shuttles). I am tremendously excited about visiting each house in the Solar Decathlon and seeing what new solar energy technology and cutting edge innovative thinking can achieve. I am also excited about the potential economic and technological impact that the Solar Decathlon will have for Irvine and Orange County in the future. Irvine is the fastest growing city in Southern California and one of the fastest growing cities in the United States. From July 2011 to July 2012, Irvine grew at a pace five times the Southern California average, its population leaping 4.2% to nearly 230,000. 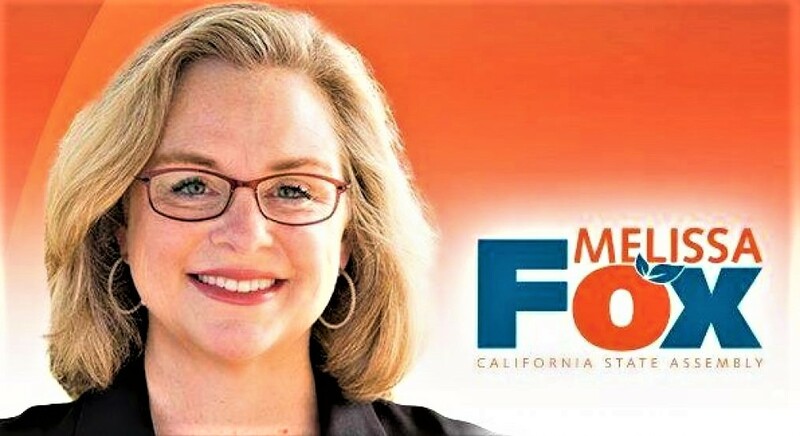 As you might expect, most of this growth has been spurred by young families attracted to Irvine because of our superior public schools, our vibrant economy, and our numerous sports facilities and recreational opportunities. Irvine is for seniors, too. In 1978, just a few years after the city was incorporated, Irvine opened its first senior center – the Rancho Senior Center, an 11,000 square foot facility overlooking the beautiful Rancho San Joaquin Golf Course. Today, the Rancho Senior Center continues to provide programs and services Monday through Friday during regular business hours. The Rancho Senior Center now also features the Rancho Fitness Center, which provides seniors with a safe and comfortable workout environment. The Rancho Fitness Center is specially designed for adults age 50 and older, and offers a wide selection of cardiovascular and strength training equipment. Also in 1978, Irvine established the Senior Citizens Council as an advisory body to the City Council. The Senior Citizens Council consists of seven members: five appointed (one by each member of the City Council) and two at-large selected through public recruitment. The Senior Citizens Council advises the City Council on matters pertaining to the special interests and concerns of senior citizens and serves as a sounding board for persons, schools and organizations who have an interest in senior citizens activities and programs. In 1994, Irvine opened its second senior center — the beautiful Lakeview Senior Center — to address the needs of a growing older adult population. The 22,000 square foot facility is part of the 22-acre Woodbridge Community Park and offers educational opportunities, recreational activities, meal programs, physical activities, outreach assistance, plus additional resources and referrals. Lakeview Senior Center is also justifiably proud of its beautiful rose garden and gazebo. The Rose Garden Cafe, located at the Lakeview Senior Center, serves hot meals that are prepared fresh daily by a professional staff on site and served by the Center’s wonderful volunteers. Lunch at the Rose Garden Cafe is served Monday through Friday from 11:45 a.m.-12:30 p.m., and costs only $4 for persons age 60 and older and $5 for adults age 59 and younger. In 2001, the Center for Senior Resources at Lakeview Senior Center was renamed the Keen Center for Senior Resources in recognition of Al and Dorothy Keen’s dedication of time and financial support to Irvine’s seniors. The Keen Center’s experienced, caring, and trained team of staff and volunteers provide information about a wide range of services and programs for Irvine’s older adults, including healthcare, health insurance, social security, safety, finances, alternative living, transportation, home care and care giving. The Keen Center also offers services in Mandarin, Korean, and Farsi by appointment. This year, Irvine’s Keen Center for Senior Resources was deservedly recognized for its outstanding service to Irvine’s older adults, receiving the prestigious “Creating Community Award of Excellence” from the California Park & Recreation Society. Together, Lakeview Senior Center and Rancho Senior Center provide a tremendous variety of social, recreational, and wellness programs for seniors, including health, nutrition and outreach services through community collaborations. Both senior centers are also heavily used by the people of Irvine: approximately 45,000 participant visits take place at Rancho Senior Center each year, and 100,000 take place at Lakeview Senior Center. In February 2009, Irvine’s Community Services Department and Senior Citizens Council began development of a Senior Services Strategic Plan to identify priority services for Irvine’s older adults. Between February 2009 and January 2010, Irvine engaged in a community planning process for seniors involving five task forces, an advisory committee, and participation of over 600 community members and professionals through various forms of outreach, including town hall meetings and community surveys. The result is the Irvine Senior Services Strategic Plan 2012-2017, which applies Irvine’s hallmark strategic planning and community participation to create a blueprint for improving the lives of Irvine’s seniors now and into future. The plan focuses on five areas: education – providing information and assistance to older adults on topics such as financial, legal, insurance, employment, advocacy and policy issues; housing – supporting accessible, affordable and safe housing for older adults; mental and physical health – supporting programs and services to enhance the cognitive, emotional, and physical health of older adults; recreation and leisure programs – promoting physical and social health in older adults through recreation and leisure opportunities; and transportation – supporting effective local and regional transportation services among public and private sources that provide transportation for older adults. As Irvine continues to grow larger, and as our residents grow older, Irvine has taken the right steps to plan for and serve the needs of our seniors, who are as diverse as the rest of Irvine’s wonderfully diverse population. 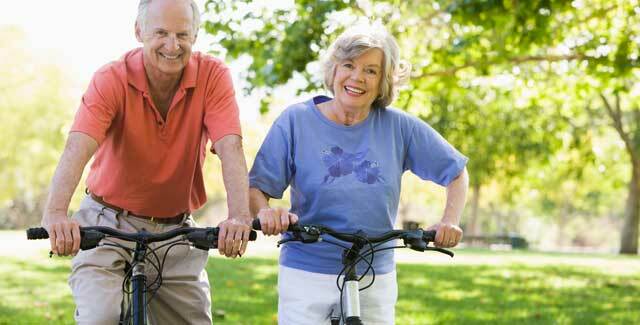 As with other aspects of urban living that set our city apart, Irvine plans for seniors, too.